TRAMFEST weekend to celebrate the start of the Franco German tram line! 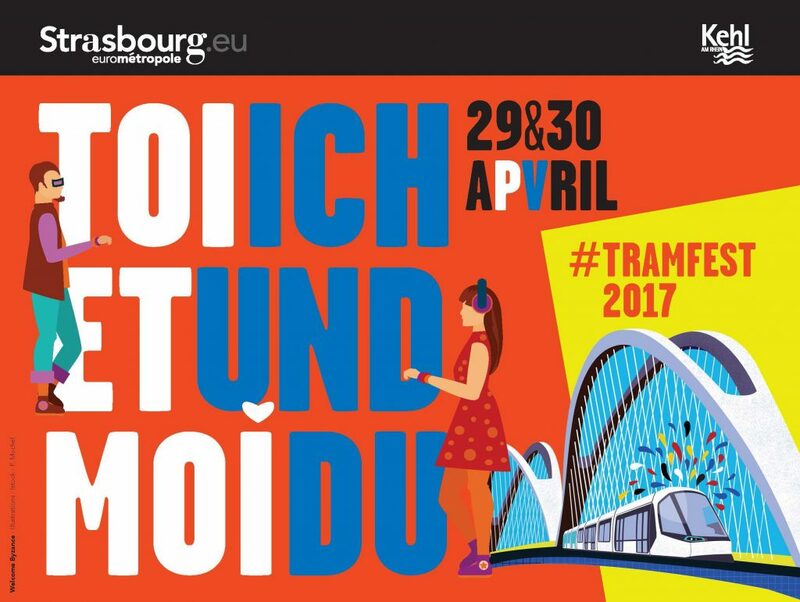 Tramfest is a weekend-long celebration of the opening of the extension of tramline D, connecting Strasbourg’s city centre to the German town of Kehl. Throughout this historical event, which will be taking place on 29 and 30 April, travel will be free on line D, and passengers can see for themselves the new Citadelle, Starcoop, Port du Rhin and Kehl Bahnhof stations. The CTS, the city’s local public transport company, has also decided to keep the line open (from 00.30 to 04.30) on the night of Saturday 29/Sunday 30 April, news which will certainly go down well with clubbers on either side of the border! – Citadelle tram stop: Batorama, the local boat repair shop, will be celebrating its 70th anniversary with river-boat trips along the Citadelle port basins, right up to the presqu’île Malraux. The hour-long trips are free for all passengers and tickets can be obtained at departure near the jetty located at the Citadelle tram station. Trips are every hour, from 11.00 to 18.00, Saturday and Sunday. – Starcoop tram stop: the Coop will be staging the Ososphère festival which, in addition to its celebrated electronic nights, will also be the ideal occasion for exploring the COOP site and enjoying exhibitions, live acts and some 40 digital artworks. SPL Deux Rives’ contribution will be an exhibition and mockups of the completed project, and a number of talks, led by Alexandre Chemetoff, the architect and town planner in charge of the COOP project, and Henri Bava, the designer of the Deux Rives urban project. – Port du Rhin tram stop: two days of alternative celebrations, featuring sound and food, offbeat guided tours and a France-Germany football match, which will be held over the two days of the festivities and where anyone can put on a jersey and play with the team of his/her choice. Forecast result – about 223–245! – Kehl Bahnhof tram stop: the German side is organising exhibitions, which will feature one of the old tram cars that used to run over from Strasbourg to Kehl, some 100 years ago. Also on the programme – live music, food and drink! All you need to do is hop on the tram and enjoy a great weekend at the #TRAMFEST !